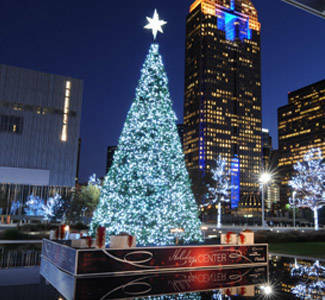 At Downtown Decorations, we strive to provide the highest quality of service and product. We like to call ourselves a design house with the capabilities to design, craft, fabricate, and install décor. We are a one-stop shop for all things commercial decorations and want to provide our clients with the full “5-star hotel, hang out in the spa and get room service” kind of experience . 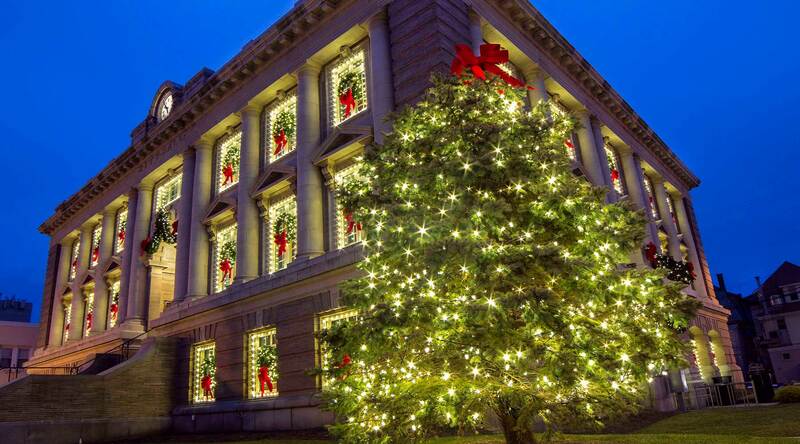 Now at Downtown Decorations, if you can’t already tell, we’re cuckoo for Christmas, but some are surprised to learn that our capabilities stretch beyond the holiday season to year-round projects. If you are looking for décor for spring, summer, or fall, or even to be the best-decorated city on National Tortilla Chip Day, don’t hesitate to call on us. We also are one of the leading producers of light pole banners, and like all aspects of our company, we provide customization on every level. If you can draw it, photograph it, or write it, we can print it. We work with cities, shopping centers, colleges, parks, and commercial offices, covering the United States, as well as dipping our toes into international waters. We offer a complete line of stock décor products for our customers to directly choose from, and while we love these bread and butter projects, our designers really revel in getting crazy in the kitchen. Because of our passion for innovation, we are constantly hunting for the latest and most unique design and accent pieces to fill our catalog. 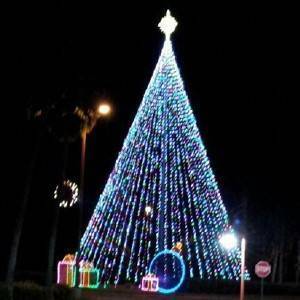 Whether you’re looking for tree lighting for your property or seasonal decorations like a waving Santa, we’ve got it. Our hundreds of stock décor holiday products include everything from light pole banners to commercial Christmas lights. Whether you want Christmas wreaths, sign enhancers, ornamentation, or displays, we can help set your decorations apart. At Downtown Decorations, we connect you with hundreds of top-quality holiday products to complete your seasonal décor. 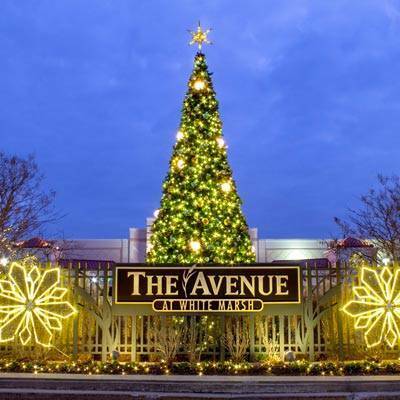 As the commercial Christmas lights company with the capabilities to craft, fabricate, and install holiday decorations, we empower you to create a winter wonderland wherever you are. Whether we’re putting up seasonal decorations or supplying light pole banners, we love matching our clients with the perfect products for their seasonal needs. At Downtown Decorations, it’s not just about providing our clients with what they need; it’s about having fun and pushing boundaries. We love what we do! Contact us today to learn more. Downtown Decorations does not believe in cookie-cutter designs. Every project we turn out is unique and tailored to fit the needs of the client. If you are seeking a custom decor treatment, let us turn your creative vision into a reality. 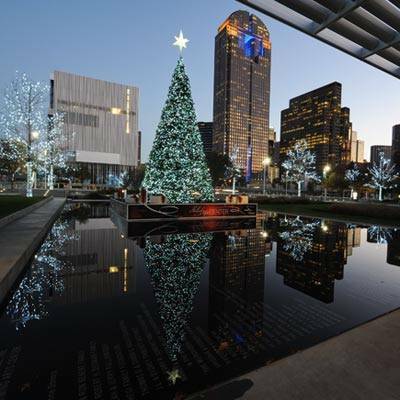 From shopping centers and downtowns to hospitals and casinos, every Downtown Decorations project is completely customized to fit a particular location and need. But because we offer so many options, it’s easy to feel overwhelmed when considering which decorative elements to incorporate. If you are looking to give your business or public space a festive makeover, but you’re unsure which direction you’d like to go in, this is a great place to start! Our team lives each day in anticipation of the next design challenge that we can conquer. While the size, scope and requirements of each new project are unique, we thought we’d show off a few of our past projects to give you a flavor for some of our capabilities and perhaps even provide a little inspiration for your next project. For your convenience we have collected all of our printable documents in one place. Find Information on banners, giant trees and wreaths, as well as other interior and exterior décor options.